The bar at Bamboo Room. Photo Courtesy Meredith Heil. Kevin Beary knows rum. One could even say that he’s obsessed with it. 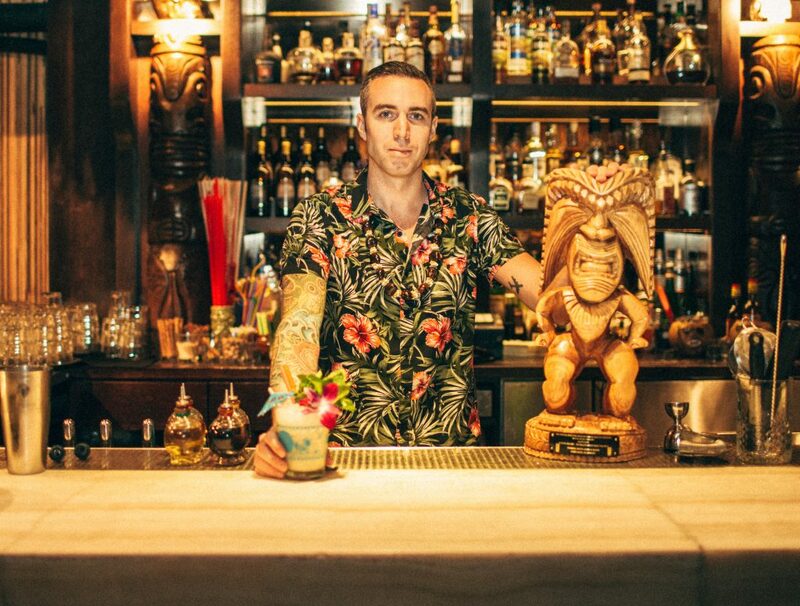 The accomplished Chicago-based barkeep cut his teeth at the Chicago Park Hyatt’s chic NoMi Lounge before taking over the beverage program at the bustling River North tiki emporium Three Dots and a Dash in 2015. Just last month, Beary opened the doors to yet another soon-to-be Windy City institution: The Bamboo Room, an intimate speakeasy-style rum bar stashed away beside the entrance to Three Dots and a Dash’s dimly lit subterranean lair. And it’s in that little colorful corner, amid a three-deep chorus of bottles representing distilleries from Fiji to Guyana and back again, that Beary really gets to let his freak flag fly. A self-professed lifelong “fan of everything distilled,” his love affair with rum began when he joined the team at Three Dots and started seriously delving into the spirit’s fascinating and multinational history. Soon he traveling to distilleries around the world and learning everything he could about the different distillation processes. Kevin Beary behind the bar at Three Dots and a Dash, Credit Anjali Pinto Photgraphy. Education has always played a huge role in Beary’s philosophy behind the sticks and it lies at the core of the Bamboo Room’s personalized rum journey ethos. 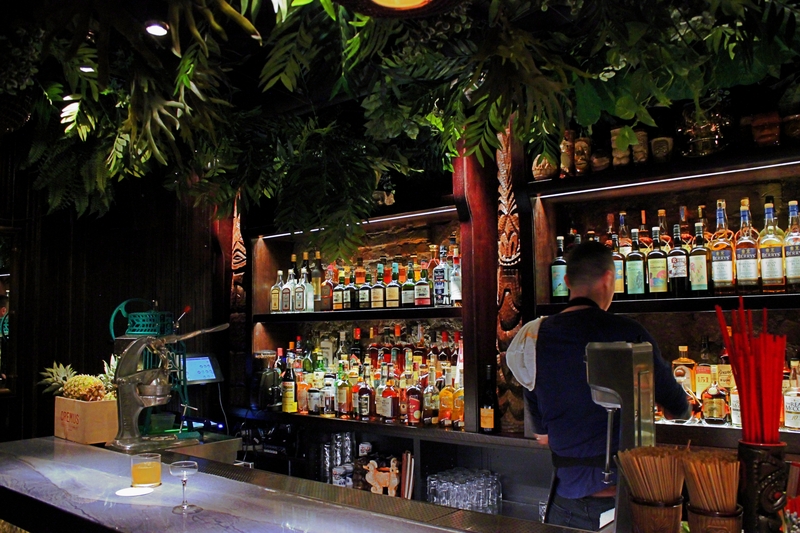 When I saddled up to the sleek canopied bar just a week after opening night and asked him to suggest a handful of aged rums that might sway whisk(e)y diehards, he was more than game to accept the challenge. Curious? Ready your rocks glass and prime your palate for a trip to the tropics with the venerable Professor Beary. 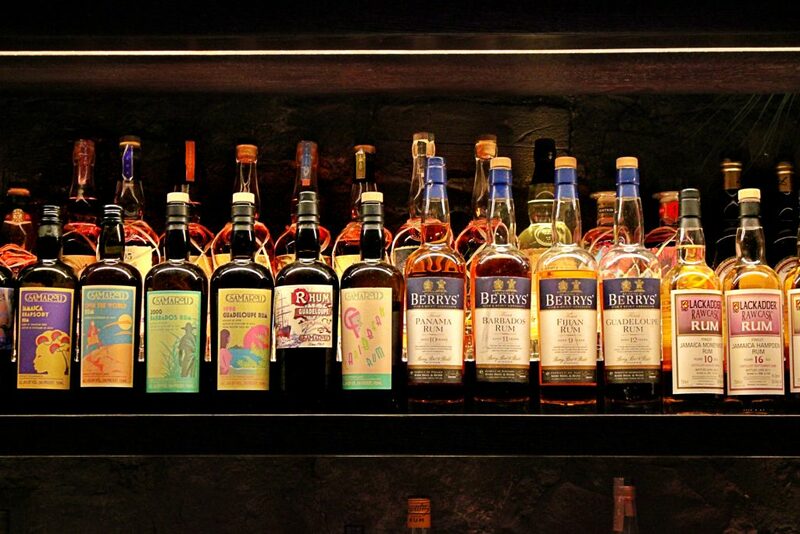 Here are 8 must-try rums worthy of a prominent spot on your home bar. “You drink Maker’s Mark on the rocks and you want to try rum on the rocks?,” asks Beary, reaching for a mahogany-hued bottle of Real McCoy 10 Year. “I’d start you here: Barbados, no sugar added, a blend of pot and column still rums distilled from fermented molasses. Between enticing aromas of butter pecan and vanilla, smooth brown butter, toasted almond, and dried fruit on the palate, and a tinge of allspice enlivening a lingering oaky finish, this silky, medium-bodied premium expression from Foursquare has tried-and-true bourbon drinkers right where it wants them. 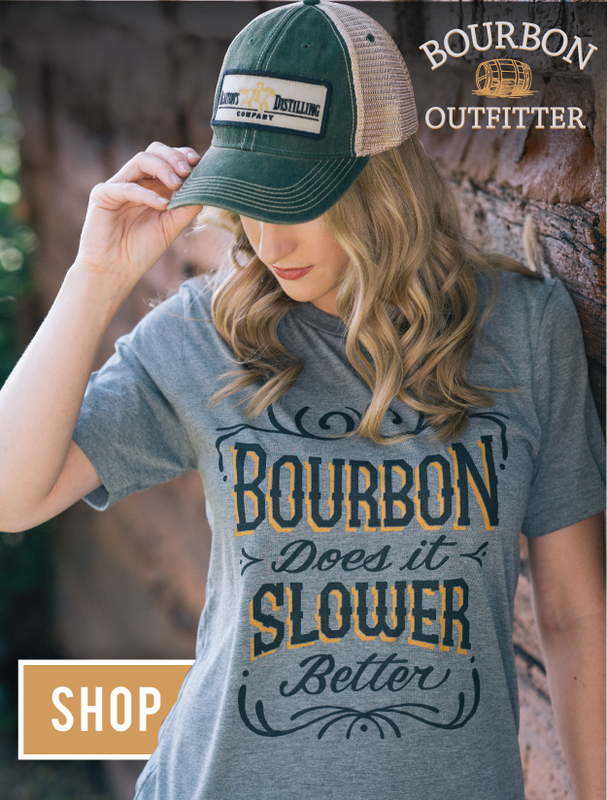 The blend is a marriage of twelve-year-old spirit aged in spent bourbon barrels and ten-year-old spirit matured in virgin American oak, a combination that adds to its unique, velvety depth and whiskey-like appeal. But at 92 proof, it’s a tad hardier than your old red wax-dipped friend. If you prefer your whiskey to pack a more peppery punch, Beary recommends picking up a bottle of Jamaican pot still rum like this aged Worthy Park release. This style is known for its lengthy fermentation time and higher ester content, creating a juice that maintains a spicy potency throughout the aging process even as its funk mellows. The Single Estate is a mix of six- to ten-year-old bourbon barrel-aged spirits, copper pot-distilled, matured, blended, and bottled onsite at Worthy Park’s central island facility. Whiffs of tobacco, sweet toffee, and spiced fruit cake lead the way, followed by a burst of ginger, vanilla, and toasted oak as it warms on the palate to reveal banana, coconut, and dried pineapple. The finish is longer and drier than expected, featuring strong black pepper notes, more ginger, and a little citrus pith cutting pleasantly through the rum’s buttery mouthfeel. Though the production method differs, Neisson’s maturation mirrors Jamaica’s Worthy Park, which mellows Agricole’s signature grassy funk and results in a roasty, nutty, and dark fruit-forward sipper that’s more than suitable for the whiskey-inclined. Rich layers of leather, tobacco, anise, and oloroso sherry make up for the slightly thinner mouthfeel. The bar shelves at Bamboo Room. Photo credit Meredith Heil. Honey, cedar, and wet cigar dominate the nose on this 2005 bourbon barrel-aged vintage, alongside vanilla, toasty praline, and ripe, juicy pit fruit. Toss in an earthy, cinnamon-laced finish and it all comes together to form something akin to an easy-drinking Speyside single malt. Beary adds that Plantation, owned by France’s Maison Ferrand, often finishes its vintages in Cognac barrels. Their Single Cask line goes a step further, introducing everything from peated whisky and rye barrels to calvados, wine, tequila, and even dry curacao casks to the process. This make the brand a great starting point for whisky devotees looking to branch out into rum. Foursquare Master Distiller Richard Seale is behind this Barbados-born blend of pot still and column still rums, which spent 12 years aging in ex-bourbon barrels before entering the bottle at a whopping 118 proof. According to Beary, Seale is an outspoken advocate for better transparency within the rum community, eschewing common doctoring practices like adding sugar, color, or artificial flavors. Every aspect of this Exceptional Cask Series release—from the soft crème brûlée, ginger bread, and nutty toffee aroma to the fire-roasted plantain, plump Mounds bar, and smoky char that follows—comes from the distillate and the wood. And the time and effort Seale put into the 2005 Cask Strength paid off in spades: The all-natural expression was named Supreme Champion Spirit at the International Spirits Challenge in 2018, and holds the distinction of being the first rum to ever receive the title. This sepia-tinted rum hails from Chairman’s Reserve casks that were relocated and, yes, subsequently forgotten after St. Lucia Distillers’ devastating 2007 fire. They were discovered several years later and bottled for a limited yet affordable six- to 11-year-old release that has quite an edge over its multi-award-winning younger brother, which clocked in between three and five years. Originally sourced from a mix of Coffey and pot stills and aged separately in Jim Beam, Jack Daniels, and Buffalo Trace barrels, it was then married inside oak for an additional five years, lending surprisingly complexity to the relatively low 80 proof spirit. Honeyed dates and sweet raisin rises to the fore here, alongside earthy vanilla, marmelade, candied walnuts, and a hint of cigar smoke and spice to keep the sugars in check. Not ready to commit? Dip your toe into aged rum’s ample waters with a bargain bottle of this trusted Jamaican distillery’s 12-year-old Jamaican blend. Distilled from molasses in traditional copper pot stills, it features aromas of ripe bananas pan-fried in brown sugar, bright orange, and a smidge of earthy funk mixed with toasted oak. It’s more sophisticated than expected on the palate—creamy and full-bodied, like a nutty, bittersweet New Orleans-style iced coffee sprinkled with pipe tobacco and baking spices. For the investor, Beary recommends the Master Blender Joy Spence’s flagship 21-year-old expression. Distilled from molasses and matured for a minimum of 21 years in Number One Select American Oak barrels, the nose is a seductive hodgepodge of candied orange, rich cocoa, freshly ground coffee, and a dash of black pepper. A thick, viscous wash of vanilla, stewed tropical fruit, orange blossom, nutmeg, and brown sugar melt on the palate, culminating in a long, drawn-out leathery finish tempered by espresso, black tea, and dark brown sugar. Meredith Heil is a Brooklyn-based freelance writer specializing in all things food, drink, travel and lifestyle. You can find more of her work at meredithheil.com.